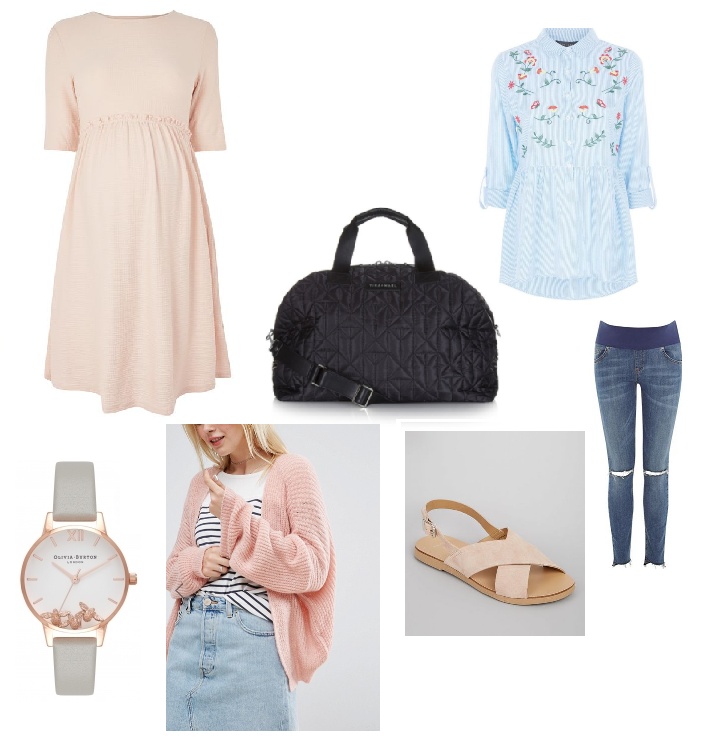 Today's post is a British summer wishlist, we've been having some rubbish weather the past few days so I thought i'd pop a few warmer pieces on my wishlist and share them with you. As you may or may not know i'm pregnant so some of these bits are maternity wear however some bits are not and just normal sizing. I'm loving this blush pink colour right now and I love this pink skater maternity dress from Topshop. It's just a pretty colour and would be very easy to wear, you could even wear it with tights and a cardigan in the Autumn months. I've included this Tiba and Marl changing bag/ weekend bag as I really like it and have been looking for a nice changing bag, I like that it's black and would go well with everything. It's a really good size so would easily fit all my bits and pieces for baby inside and would be a great hospital bag. Next is this really cute top from New Look, this isn't a maternity style but it would go over my bump and this top is a steal! It's only £7.99 so if you like it go and order it because it won't be around for long. I need some new maternity jeans so i've picked out these ones from Topshop as I don't have any blue maternity jeans and I like the ripped knee and distressed look of these and they are in the sale. How cute are these little sandals from New Look, the look so easy to wear, maybe not weather appropriate for all the rain we've had but so cute for those warmer days. Another blush pink item I know!! This cardigan from Asos is so cute though, I love the colour and it looks so snug and comfy perfect for those colder days, it would be easy to throw on over some jeans and a cute t-shirt. Finally, it's coming up to my birthday and I usually ask for a new watch, I haven't been wearing my watches much recently but this Olivia Burton one is so cute, I love the little bee's and the grey strap is very versatile and easy to wear. So that's my wishlist for this month, I will be putting together another wishlist next month for my birthday month! 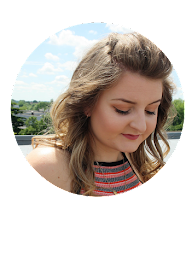 Let me know what you think of these bits and send over links to your wishlists.